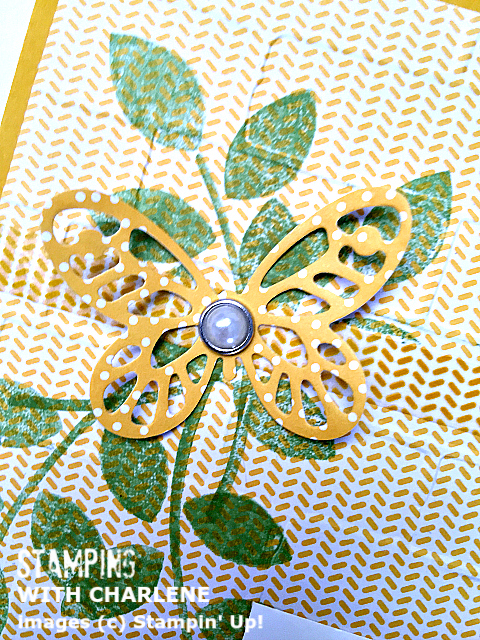 This week’s project will all be focusing on the brand new Bold Butterfly Framelits Dies from the 2015-2016 Annual Stampin’ Up! Idea Book and Catalog. I want to show you how versatile and extraordinary these two seemingly simple framelits dies really are. 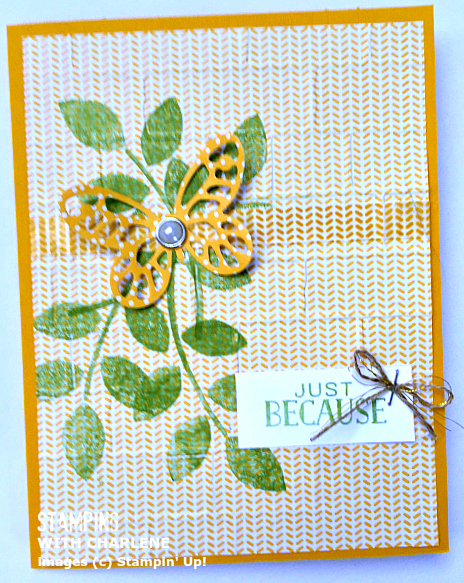 For today’s “Just Because” card, I used the small butterfly die. All I did was cut it out of a piece from the Cherry on Top Designer Series Paper Stack and added a Metal Rimmed Pearl. I wanted to go for a monochromatic look with this card, and even though I used Wild Wasabi ink for the leaves (from the Crazy About You Stamp Set) and the sentiment, I really like the overwhelming happy feeling that the Crushed Curry brings to the overall feeling of the card. To make the cute little bow, I combined Linen Thread with two pieces of Gold Metallic Thread. Finally, once again I used the Handheld Stapler to attach both the bow and the sentiment to the card. It’s always nice to have cards on-hand that say “Just Because.” Sometimes, you want to send a card to someone just because. It’s pretty obvious, right? That is why I love the Tin of Cards Photopolymer Stamp Set so much. 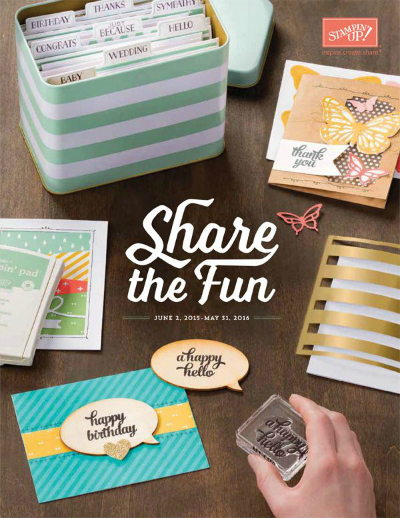 At first, you might think you would only use the Tin of Cards set if you were actually creating the project that is shown on the cover of this year’s catalog or with the stamp set on page 110 of the catalog. 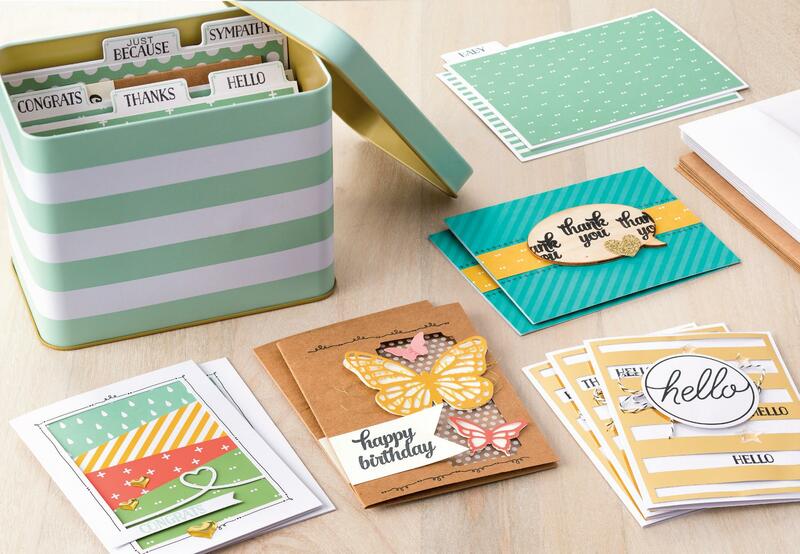 However, this stamp set is perfect for any project because of the wide variety of sentiments that it includes. I already know that Tin of Cards is going to be my go-to stamp set for a long time to come. Come back tomorrow for a card that uses all of the same products that I used to create today’s card, but looks entirely different. 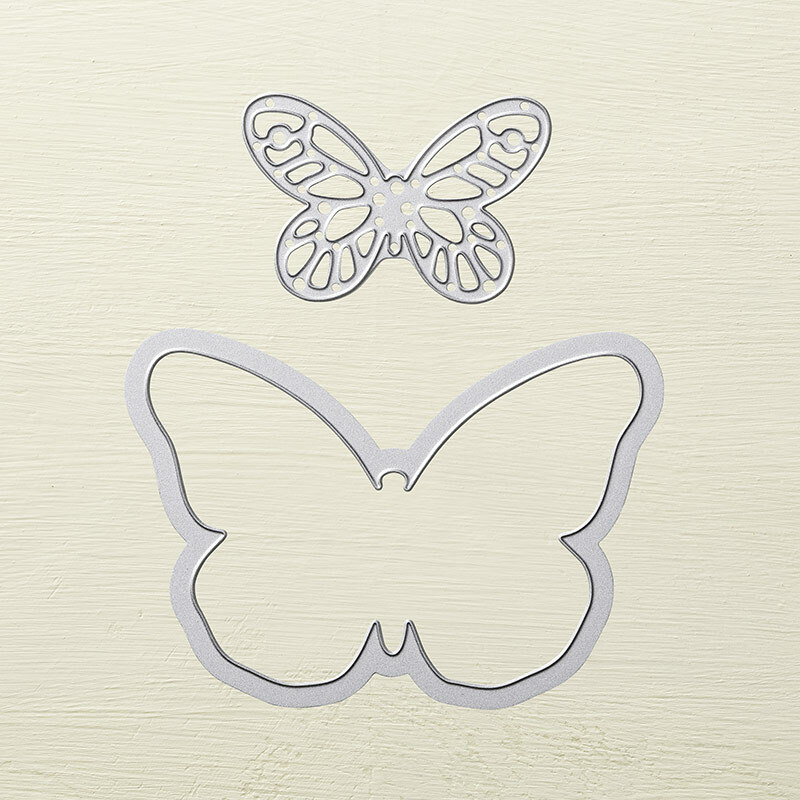 Hence, the versatility of the Bold Butterfly Framelits Dies that I mentioned earlier. Can’t wait for you to see the next card!